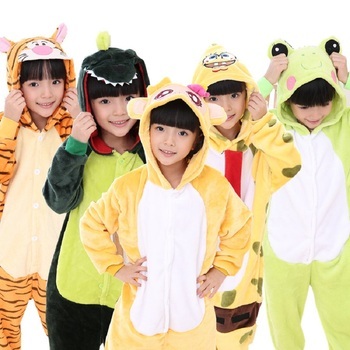 Kigurumi (kee-goo-ROO-mee) onesies are great as costumes, and super comfortable as pyjamas. Get your perfect kigurumi now! 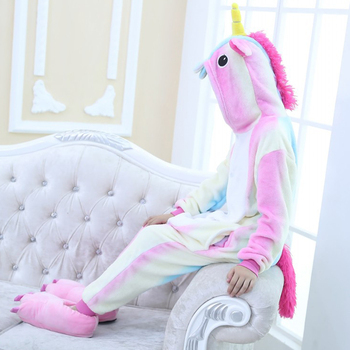 The kigurumi originated in Japan, and the word means "wearing a stuffed toy". Buy yours now! Are you a newbie to this new fashion trend? Well, it is more popular than you may realize. 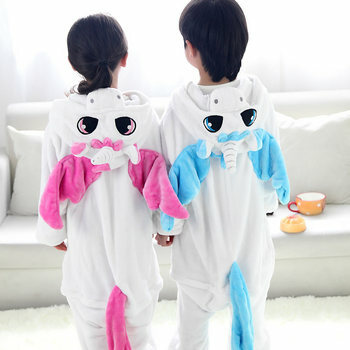 The name Kigurumi originates from a combination of two Japanese words: kiru (“to wear”) and nuigurumi (“stuffed toy”). Traditionally, the word kigurumi referred specifically to the performers wearing costume; however, the word kigurumi has since grown to include the costumes themselves. In Japan, kigurumi onesies are worn in passive defiance against traditional dress habits. But they are not just a part of Japanese culture: all over the world people are jumping on the bandwagon by expressing their cute or comedic identities through comfortable Kigurumi wear. Our kigurumies are just as comfy as pyjamas but with an added twist. The hood detail transforms you into one of many real or mythical animals. kigurumi can be worn casually everyday, are quick to put on and can be worn over your regular clothes. 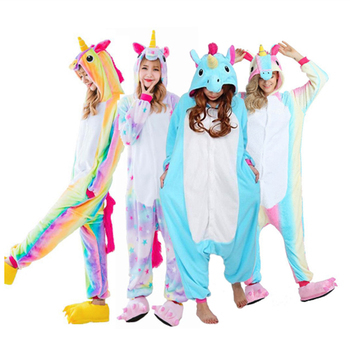 The relaxed fit kigurumi onesies make them a dependable choice for lounging around the house on a lazy sunday, taking care of business during a frenetic day at the office(depending on where you work of course) or making you stand out at your next costume party! Our kigurumies for adults and kids are made with great attention to detail using the highest quality material, ensuring that your kigurumi will stand the test of time. In a brief period of time, your appearance will go from dull to wild. Get in touch with your inner animal and you’ll be glad you did. Buy your kigurumi now!